Does being optimistic help you recover from trauma? Last week, we had every reason to be shocked again about how cruel our world can be. The shooting in Aurora, Colorado, was in bizarre contrast with the fun evening that the movie goers expected to have. There was the one-year anniversary of Breivik’s attack in Norway. Our TVs screened ongoing, severe violence in Syria and other parts of the world. Not much reason to be optimistic, it seems. However, the personality factor ‘optimism’ in itself may be an important asset when confronted with terrible things: Feelings of optimism and hope may help our recovery from a traumatic event. In 2007, Hobfoll and colleagues wrote a seminal article on the five essential elements of immediate and mid-term mass-trauma intervention. The first four principles considered the importance of making people feel safe and comfortable, calming them when necessary, enhancing their feeling of being in control, and promoting connectedness with loved ones and support networks. The fifth principle was to promote hope. 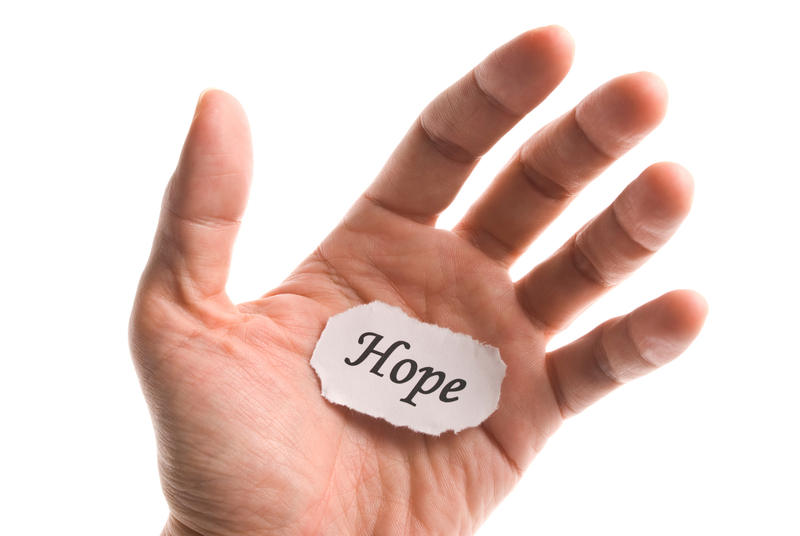 The authors described that there is strong evidence for the importance of retaining hope in recovery. Recently, researchers published on the American prisoners of war who were held in Vietnam in the 1960s and early 1970s. These veterans had been examined for psychological functioning shortly after their return. In 2010, 37 years later, their resilience was measured, defined as an absence of psychiatric diagnoses. It turned out that optimism was the strongest predictor of mental health. Build on strengths: what goes well, and how can we amplify this? You can also ask what has worked for someone on earlier occasions; this may not only give them guidance but also remind them of earlier problem solving capacities. Convey the message that most people recover spontaneously and that feeling distressed shortly after an event does not mean that you’re going crazy. Facilitate interventions by the media, schools and universities and community leaders that work towards positive goals, organize cleaning and rebuilding, and help people to tell their story. What’s your take on the role of optimism? And do you have tips to enhance it? This entry was posted in Tips & findings and tagged Aurora, Breivik, Colorado, optimism, PTSD, shooting, trauma recovery by Eva Alisic. Bookmark the permalink. I think people demand it of others to assuage their own guilt. It’s just one more burden put upon suffering people, and evidence shows that it’s largely an unrealistic view of the world. Ditch it and focus on realism, resources and support. Out of those, optimism should emerge, if there’s any realistically to be had. Many years ago in 1995,….I was an in-patient on the psychiatric ward of a Veterans hospital in Seattle Washington. I was suicidal and dealing with what was undiagnosed PTSD at that time. About a week into my two week stay at that time,…one psychiatric nurse told me that I would be on psychiatric medication for the rest of my life,…I quickly retorted with a raised angry voice,…”No I will not..!! !”, “drugs did’nt get me to this point and they will not fix me”,…and then I walked away from her and sat in the lounge furiously for about an hour. In one of my darkest hours,…at age 32,…alone and scared in a hospital with individuals “in charge” that had written me off and reduced me down to a bottle of pills,…I somehow found this “hope” that you talk about in your post. I have not taken psychotropic meds of any type since 2002 and I quit going to the veterans hospitals & therapists about a year after that incident. I [felt],…rather than [envisioned],…a brighter future for myself from a gut reaction stand point,…eventhough I had no clue as to how I would accomplish the “getting better and off medications”. I completly agree about hope. As a peer support specialist working with veterans instilling some hope is always the first step we take. We do this by showing veterans other veterans in recovery and others living stable with thier SMI’s. It is hard for anyone dealing with problems to see a way out or a brighter future for themselves, but seeing others doing it helps make it a possibility. Peer support was the major factor in my own recovery and I strive to bring this to others every day. Your example of the movie shooting is a excellent expamle of a catastrophic situation that happens unexpectedly and changes people for the rest of thier lives. There is a difference in that service men live several months (sometimes years) of this kind of trauma and their lives are changed forever too. This is why theVa leads in peer support as a major element of PTSD treatment. We know that many schools and colleges now have boards and plans of action for mental and emotional support after events. They are quick to action and make a large difference in the school community. Maybe States need simalar groups in place, trained and ready to go – to be there for people who have to deal with how they have change after an event like the movie shooting. What do You think?